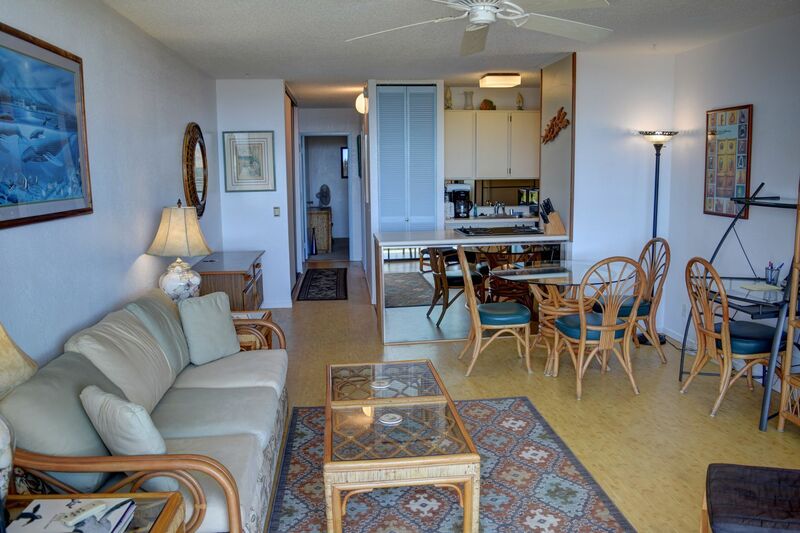 Stay in this affordable condo with an amazing sunset and ocean view, private lanai and plenty of room to spread out. 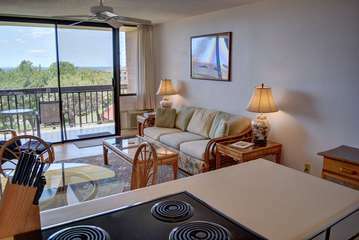 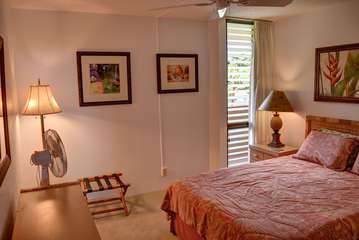 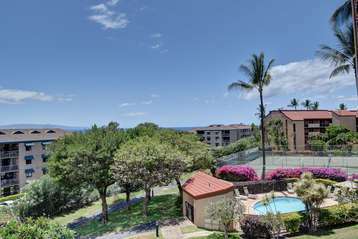 Maui Vista is located within walking distance to the nicest beaches in Maui, shops and restaurants and a grocery store. 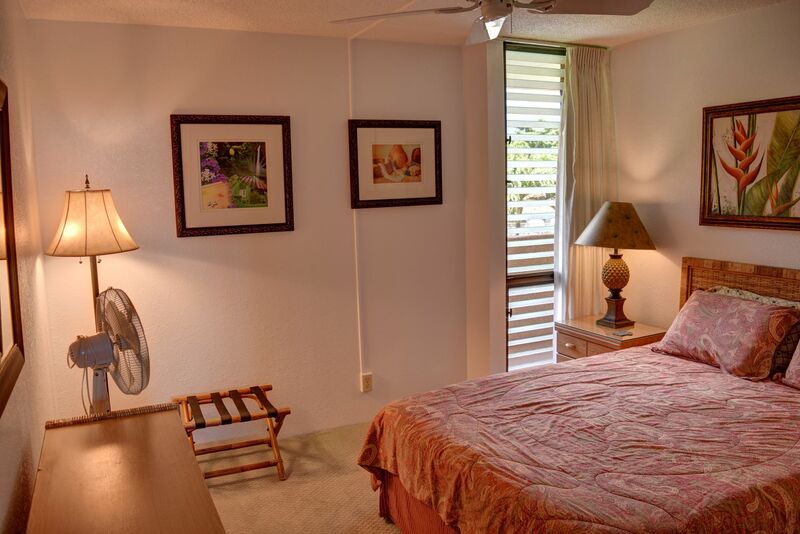 You will love well-kept pools, tennis courts and grounds. 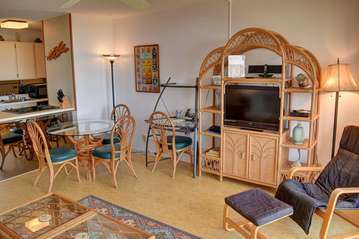 Living Room: This room has everything you might need including a comfortable sofa to relax on, flat screen TV, and work desk. Enjoy this open space and look outside to your ocean view from the privacy of your own condo. 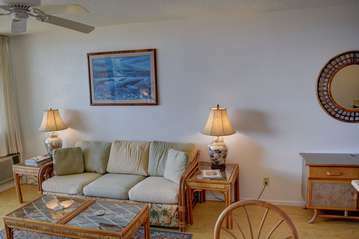 This room is also open to a dining area with seating for 4. 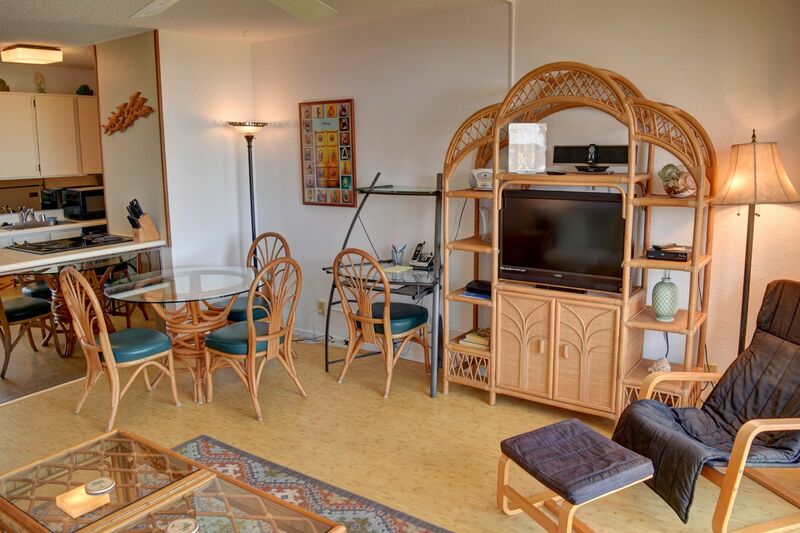 Enjoy some quality time with your group or family when you gather around this table. 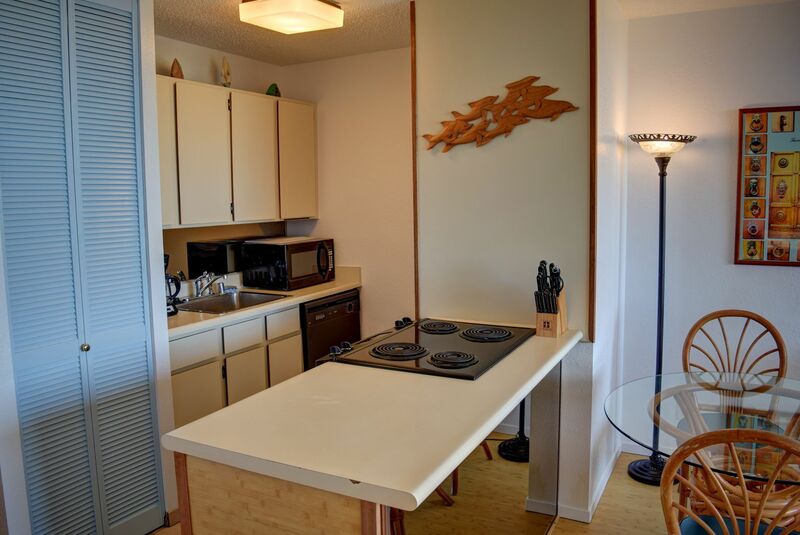 Kitchen: This kitchen is fully stocked with everything you need including full size appliances, cookware and even a washer/dryer. Enjoy the conveniences of home when you stay in this vacation rental and whip up your favorite snack or some cocktails for sunset! 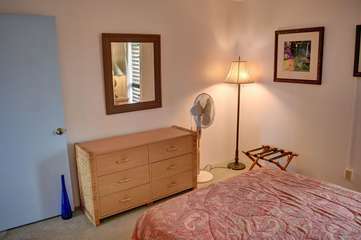 Bedroom: This room has plenty of storage, privacy and room to spread out! Equipped with a Queen size bed, dresser and large closet. 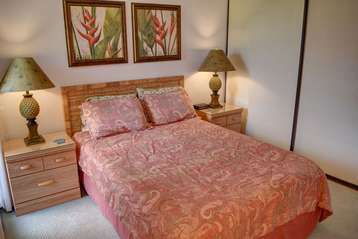 You will be sure to get a good nights’ rest when you stay in this room. 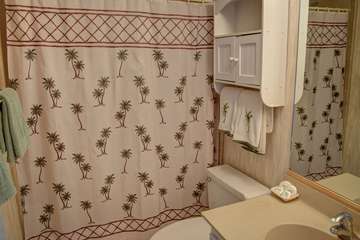 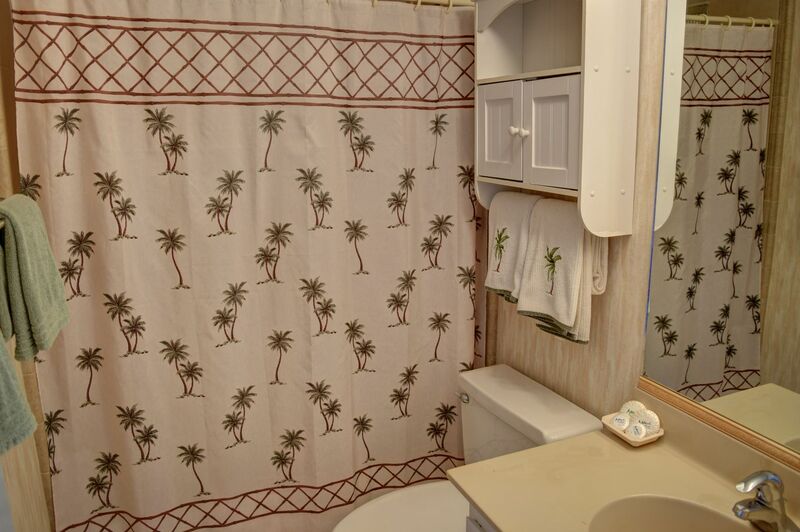 There is a ceiling fan and tower fan for your comfort and easy access to the bathroom. 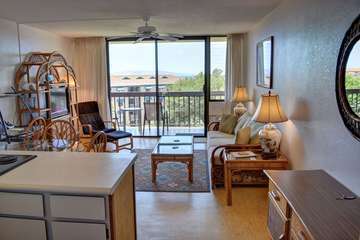 Lanai: Enjoy views of the ocean and watch whales, the ocean and gorgeous sunsets while you are drinking cocktails and eating pupus. You also have an amazing view of the pool, tennis courts and grounds of Maui Vista. 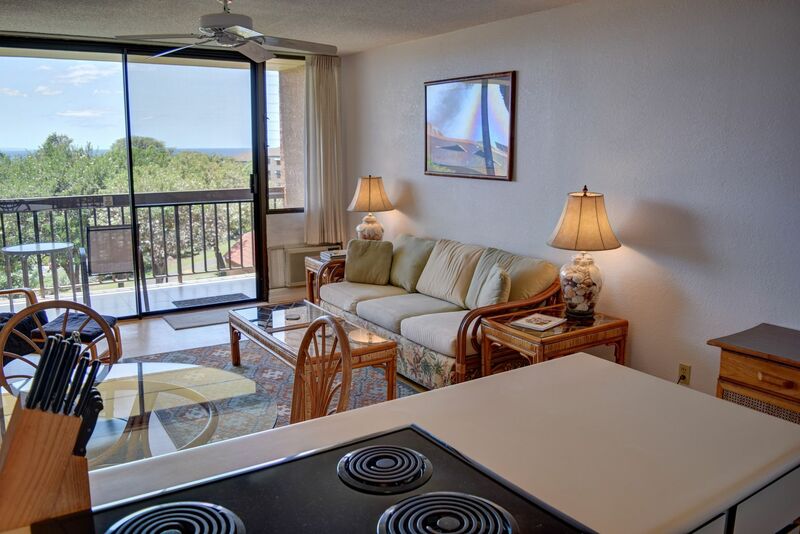 You will love being on this lanai!